Oxygen, Aromatics, and Hyper-decanting. Oh My! Oxygen. We keep it out as much as possible when making the wine and then we add as much as we can in when drinking it. We swirl. We decant. We aerate. Adding oxygen into the wine right before we drink it is such a thing that a good portion of the wine accessories business is devoted to it. But why? What does mere oxygen do that improves the experience? The theory (which has a bit of science backing it up) is that when oxygen hits the wine, the aromatics (esters, terpenols, etc.) that have been tightly bottled up are encouraged to be released. As more aromatics are released the wine should be more intense on the nose and then more balanced and apparent on the palate as well. 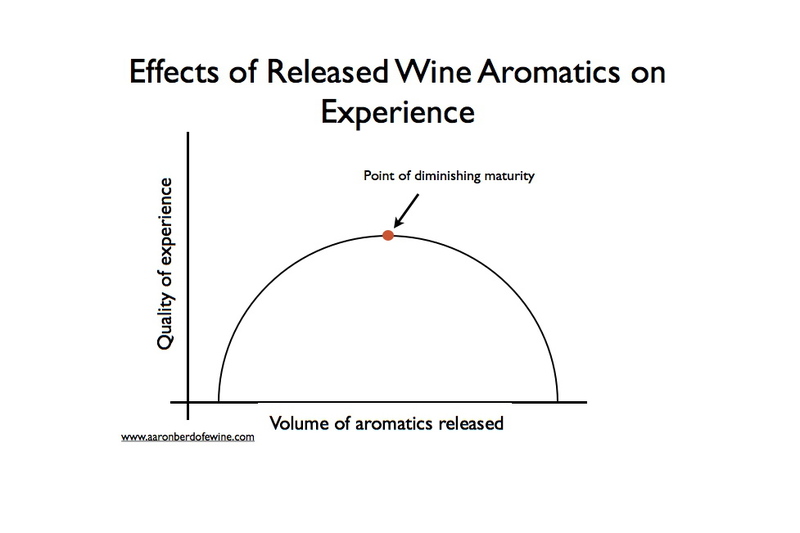 However, a wine has a finite amount of aromatics so there should also be a point of diminishing returns. How far along the curve (the wine’s lifespan) the wine is generally referred to as the wine’s maturity, so I’ll call this the point of diminishing maturity. Please feel free to use that term when referring to people as well. There are a few other factors that go into why the quality of experience in wine starts to decline at a certain point, but here we are focusing on you enjoying your glass of wine at the table which is mostly concerned with the oxygen interaction (and serving temperature). To test this theory, I decided to put together a little trial using a bottle of Philippe Leclerc’s 1996 Chambolle-Musigny Les Babillaires. That’s a Pinot Noir from Burgundy for those who haven’t memorized every appellation in France. The question: Does increasing the amount of oxygen in the wine right before you drink it intensify the aromatics on the nose and also have a positive effect on the intensity, balance and finish of the wine on the palate as well? Given the existing, although limited studies on this already, one would hypothesize that the answer to this question is certainly yes. I was also attempting to answer this question because I generally despise wine accessories. For me, all I need is a double-hinged waiter’s corkscrew and a glass. Also, I really like swirling the wine in the glass and I needed justification to continue doing it. With this question I am assuming the wine is going to be served at the proper temperature. The colder a wine is, the less oxygen can work its magic on it, which is generally why we serve white wines at a colder temperature and reds at a comparatively warmer temperature. The methods: Three different applications of oxygen to the wine were tested in this double-blind controlled study. First, 250ml of the wine was poured into a measuring cup and then split between two wine glasses (the control of pouring directly from the bottle). The second was 250ml of the wine poured into a measuring cup and then a 9″ x 11″ glass pan to expose as much of the surface of that wine to oxygen as possible. 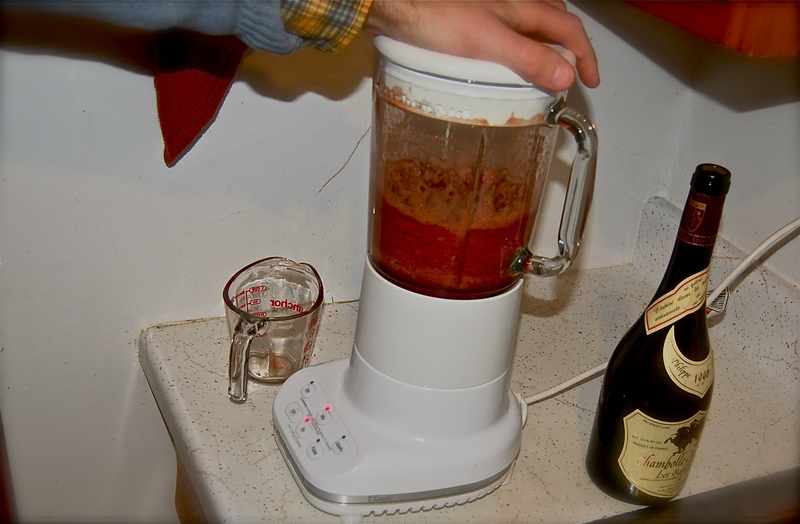 Third, 250ml of the wine was poured into the measuring cup and then a glass blender which was put on a low setting (such as “frappé”) for 30 seconds. The second and third methods were then poured into respective glasses just as the first. Each glass was labeled on the bottom (hidden) with the number of the method (1-3) for a total of 6 glasses, 2 for each method. At this point I asked my paid assistant (paid in wine!) to leave the room and I rearranged the order of the glasses within each set. After that, my assistant rearranged the glasses again while I stepped out so neither of us knew which order the wines were in, but we knew we each had one of each method. Why the chosen methods? Because I’m a huge nerd. 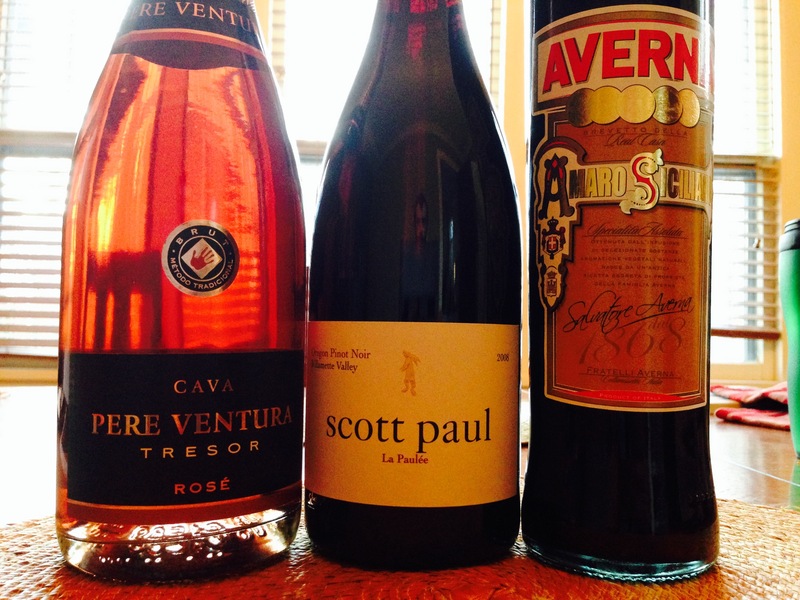 The first method acts as a control since it’s typically how people open and serve wine. 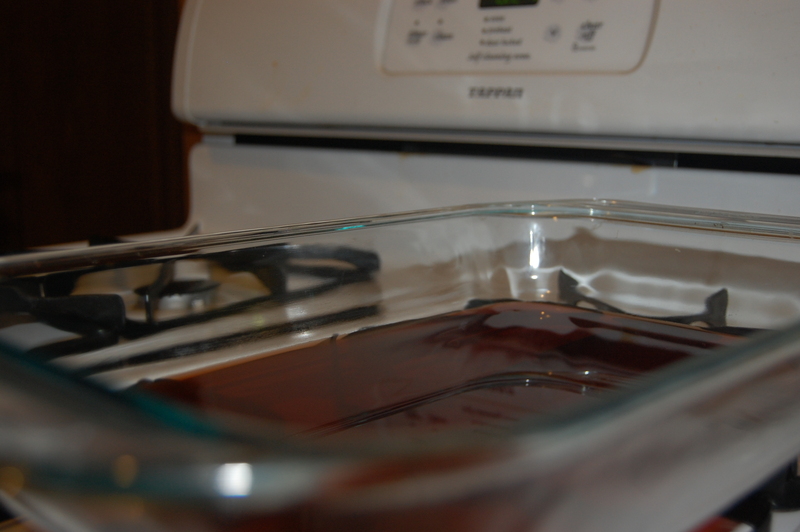 The added step of putting it into a glass measuring cup first was added to maintain consistency for the other methods. Also, in the interest of consistency, if a glass was swirled, the other two glasses were swirled as well. The second method is meant to mimic putting wine into a decanter. I have two decanters, but by spreading the wine out on a flat surface as thinly as possible, the hypothesis that more oxygen on the wine increase aromatics is better tested. The third method, the blender or Hyper-decanting as it is called, was popularized by Nathan Myhrvold the former Microsoft CTO that got bored one day and created a cookbook that focused on how to cook instead of what to cook (and it’s really cool). The idea behind hyper-decanting is that it “chops” oxygen into the wine, moving oxygen through the wine instead of the normal lazy interaction oxygen has with the wine when it just sits there. If you need a visualization, picture those movies that show an old school dance where the boys and girls sit on separate sides of the room and maybe one or two of them are dancing together. That’s the normal wine and oxygen interaction. Hyper-decanting is when the adult steps in a forces everyone to find a partner. Also, the punch gets spiked. Hijinks follow. The rating: This was a comparative analysis. Therefore, each glass was analyzed briefly first and then a second analysis would be conducted and rated. This ensured that if a glass was rated as having the highest level of intensity in the nose and the next glass was found to be more intense, chaos and anarchy would not ensue. For the nose, Intensity was scored on a 1 – 5 scale with 5 being the most intense. A Differing Notes commenting field was also included for more qualitative aspects. For the palate, a 1-5 Intensity scale was also used along with a 1-3 Balance scale, a 1-5 Finish scale and a Differing Notes commented field as well. In retrospect, the scales could have all been 1-3 since there were three glasses and this was comparative, but that didn’t affect the outcome and it did make the scorecards seem a lot more sciencey. The results: The assessments completed by my paid assistant and myself were nearly identical even though they were completed in silence. The hypothesis that the more oxygen that gets added to the wine just before experiencing it was indeed correct, but with one twist. 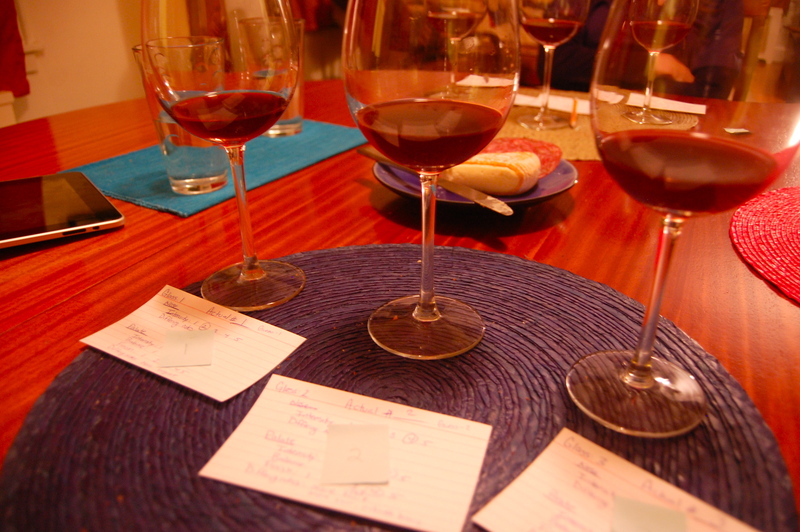 The first method of direct pour produced a glass of wine where the experience was less intense and the characteristics of the wine tended to be more to the earthy spectrum while the fruits were more hidden. The second method was more intense, but specifically with the fruit. 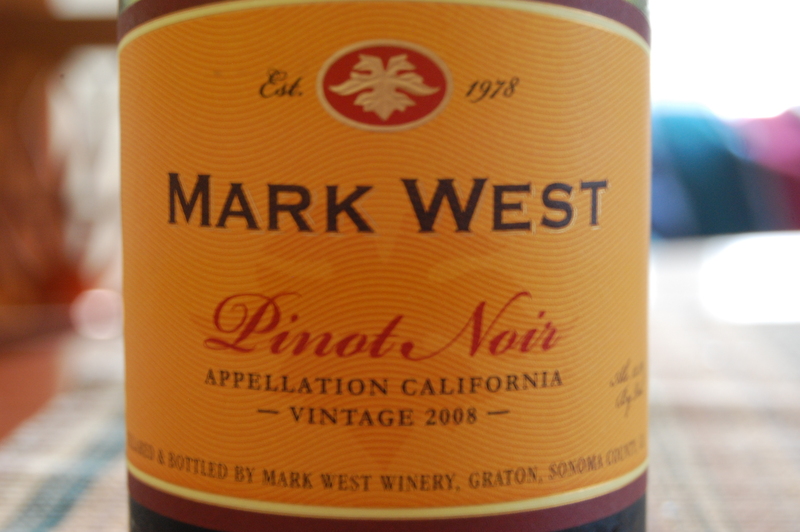 In this case, tart cherry came through and the tannins were more apparent. The balance had gone a bit haywire. 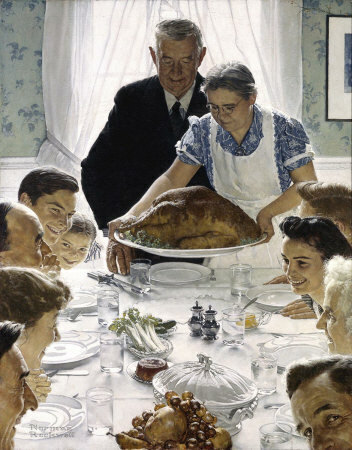 The third method, which reigned supreme, boosted the intensity all around and the more earthy tones came back in to the picture to balance out the fruit. The tannins then felt more appropriate and the finish appeared to linger just a bit longer which was most likely because of the improvement in balance and intensity. As an added bonus, I guessed which glasses contained which methods correctly before the number labels were retrieved! When the bottle is opened, aromatics in the headspace escape from the bottle. The changed equilibrium between aromatics in the wine and the headspace induces further liberation of aromatics. This phenomenon helps maintain the aroma in the glass during tasting, but may depauperate the fragrance of wine left in the bottle. If we arrange the methods in order of amount of headspace, it would be wine in the glass, wine in the blender and then wine in the pan. It should be noted that a typical decanter does not have the same amount of headspace that wine in a pan does. Perhaps, given the vast amount of headspace, the wine decanted into the pan went past its optimal point of maturity as was noted by the lack of bouquet or earthy tones to support the fruit tones. Depauperate indeed. Additional studies should be made (by me or at least invite me over if you’d like to do them) to compare all of those wine accessories and how well they actually affect the experience. My guess is that you could get the better results from your blender than shelling out extra dough this holiday season for a fancy, single-purpose tool though. Last, I do have to end this with addressing those who view wine as a fragile and ethereal object that should only be treated with kisses and caresses: Get over it.